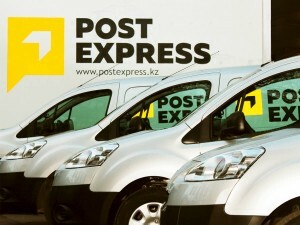 Post Express (Express post) is dynamically developing company in the market of courier, logistics and postal services within the Republic of Kazakhstan. Express delivery of documents, parcels and freight to anywhere in Kazakhstan at low rates, and within the shortest possible period of time. International shipping in the CIS countries and abroad. Special integrated solution for online stores and companies of distance selling in bringing the goods to the buyer. Full range of services in international cargo transportation. In particular, the transport of heavy and bulky loads in Kazakhstan and countries of near and far abroad. We are constantly improving the level of service by developing and implementing of new technologies in the delivery as a complex of provided services. Our employees are the team of professionals with experience in the development and implementation of courier solutions in leading postal companies of the CIS countries. We will select for you the most convenient delivery method and advantageous tariff, depending on your needs, schedules and dispatch areas. Our affiliate program will allow you not to worry about transporting your documents, goods and freight - we guarantee the safety of your postal items.